This deal will sell out, so hurry over to get yours before it's gone! 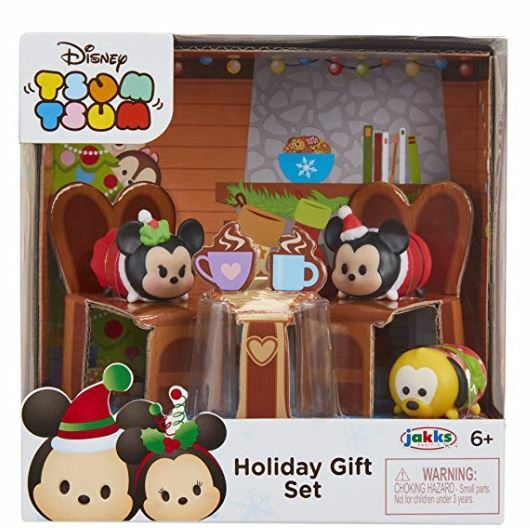 Today ONLY this Tsum Tsum Exclusive Holiday Mickey & Minnie Gift Set Playset is on sale for $3.07 (Retail $11). This special edition holiday gift set comes with 3 medium Tsum Tsum figures that your little elf can stack and display. Each figure is dressed in special holiday attire including a festive hat. Be sure to check out all of the the, Save Up to 70% off Disney Clothing, Toys, Bedding, and More deals available today before they disappear.